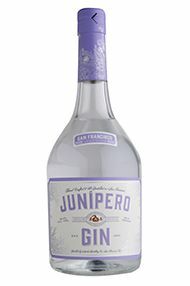 Junipero is America’s original craft Gin. Made by hand in the classic London Dry Gin-style , the recipe utilises more than a dozen botanicals in their natural state in a small copper pot still at the small distillery on Potrero Hill in San Francisco , making it the first post –Prohibition Gin distilled in the United States. Junipero is not chill-filtered, allowing the botanicals to marry gently and shine through the finished Gin, while the higher proof of 49.3% brings forward the flavours in cocktails. The predominant flavour is the classic juniper, however the result is a distinctive, intriguing, light, crisp and clean Gin combining a deep and mysterious spiciness with subtle delicacy. 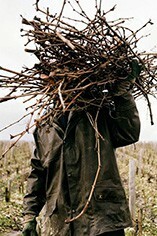 The predominant flavor and aroma of a modern gin will always come from juniper (dried berries of the 'common juniper,' juniperus communis), but the wonderful challenge for the distiller is in selecting and blending from a wide variety of additional, exotic botanicals in order to impart a uniquely satisfying, balanced character to the gin. The result is a distinctive, intriguing complexity in Junípero Gin that is light, crisp and clean, combining a deep and mysterious spiciness with subtle delicacy.